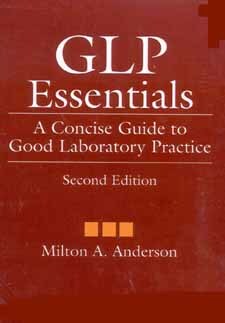 Concise and easy to follow, this book explains the implementation of Good Laboratory Practices (GLPs). The second edition of a standard reference, GLP Essentials identifies and describes the required elements of managing a scientific study including its planning, performance, reporting, and monitoring. The author includes a brief, informative discussion of the historical development of GLPs and the rationale for establishing these requirements in the rapidly expanding scientific research and regulatory environment. Written especially for readers involved in ensuring the integrity of their scientific documentation, this book is useful for individual and group training programs.